Did Arnold Schwarzenegger Use Steroids? 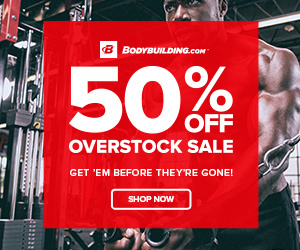 When it comes to some of the greatest bodybuilders of all time, there is always speculation as to whether or not it is actually possible to do without some type of performance enhancement. Back in the day of Arnold, not many people had come out about their use of steroids, some did but it was when Arnold himself came out about it that sparked so much discussion around the topic and the sport of bodybuilding, which at the time, was not where it is now in terms of the amount of people who know about it and who are involved with it. Arnold was competing in the “Golden Era” of bodybuilding amongst classic bodybuilders like Mike Mentzer and Frank Zane. He started training with weights at the age of 12 but really started bodybuilding when he was 15 years old and just five years later, he had won the title of Mr. Olympia, he then went on to win this contest seven more times in a row. Arnold Schwarzenegger had gained a lot of popularity not only from bodybuilding but from featuring in films such as Conan the Barbarian and the Terminator. However, many people, especially those within the bodybuilding community, have been wondering whether or not Arnold had been using steroids during his competitive years. So, did Arnold Schwarzenegger use steroids? There are those who believe that he did not use steroids, however, there is a lot of evidence and accounts that say that he did. In fact, he was one of the only bodybuilders at the time to be quite open about his use of steroids, you see, during Arnold’s years, steroids were far more widely available, people during this time have said that it was very easy to get their hands on anabolic steroids, nowadays it is a longer and difficult process. For example, back then, you could easily get a prescription written by a doctor to be able to buy anabolic steroids hassle-free, the prescription did not even have to have any sort of valid medical reason, the reason for people trying to get prescriptions may have simply been something like “my football coach told me I need to gain some muscle mass”. If you were to try and buy anabolic steroids legally through prescriptions today, you would need a proper medical reason. 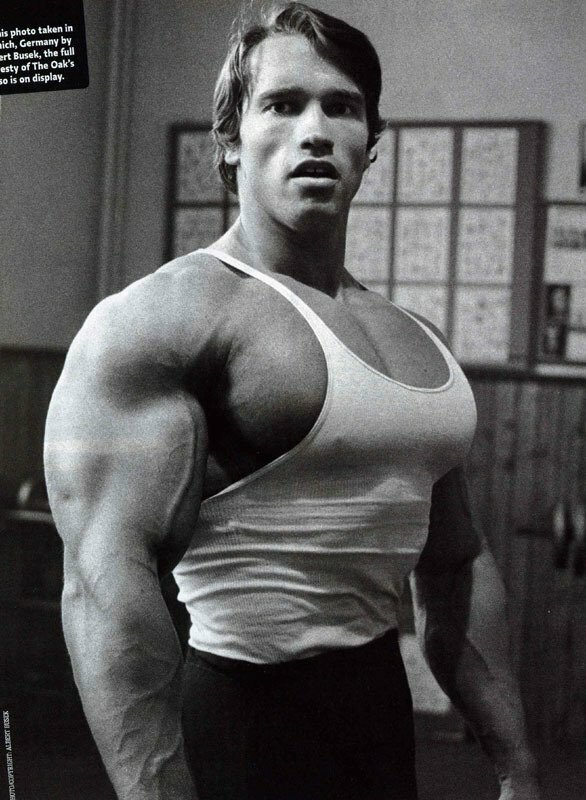 Another benefit for people using steroids back in Arnold’s time was the fact that they were not really sold on the black market, therefore the amount of fake or diluted products were kept to a minimum, this is also why some of the more classic bodybuilders did not experience a lot of the side effects that are nowadays associated with anabolic steroids. People now have to purchase their steroids from the black market where the products are created in underground labs so there is a higher chance of people going through some of the side effects. 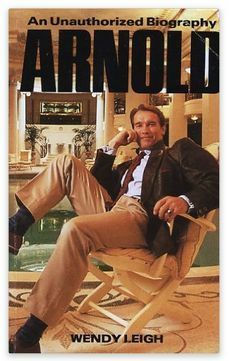 There was actually a book that was publicised called “Arnold: An Unauthorised Biography” that was written by Wendy Leigh. It revealed Arnold’s use of steroids. The contents of the book show how he was exposed to steroids at a fairly young age however when it was publicised, it soon went out of print, people can only speculate the reason for this but of course there was going to be something that made the information in the book seem real because of the fact that it was stopped from being printed. This only makes it more likely that Arnold using steroids was more fact than fiction. Sergio Olivia, one of the great bodybuilders was asked by Brian D. Johnston about the use of steroids amongst him and bodybuilders of his time, this included Arnold. His interview response included things about how he believed it was a personal choice for people as to whether or not they wanted to use steroids but what he also goes on to talk about includes the fact that Arnold was one of the first people to bring steroids over to the USA. Sergio also talked about how he and people like Frank Zane, Larry Scott, Dave Draper and many others used steroids. “Q: Could you relay your own experience with drug use? Although the abuse of steroids back then just did not really happen, in fact, if the kinds of dosages that have come out concerning Arnold’s cycle were true, he would be considered as a newbie to using steroids today. Nowadays, the amount of abuse that goes on with anabolic steroids is at an all-time high, back in Arnold’s day, if the sources are right about him using steroids, he was using them in an extremely safe manner, along with many other of the bodybuilders who he was competing against. It is easier in current times to tell whether or not someone is using steroids because of the fact that people notice they see crazy results within such a short amount of time because their dosages tend to be quite high. If what was shown about Arnold’s dosages are in fact true, they may seem quite odd to someone on a steroid cycle today because of the fact that back then, it was common to pyramid up and down in terms of dosages, there are some disadvantages to doing this concerning the ability of the levels of testosterone in the body being able to recover properly. But during the Arnold’s time, they did not have this information and many people have speculated that if Arnold had access to the kinds of steroids that are available now, his supposed steroid cycle would look very different. Arnold has now been seen in videos where he has admitted to using steroids however, when it comes to the drug testing aspect in professional bodybuilding and his experiences in this area, it can get sketchy as some of what he says comes across as misleading. Because of the fact that Arnold is such an inspirational bodybuilder, bodybuilders today are left wondering whether or not he used steroids and if he did, what were the dosages and the type of cycles involved, others feel as though his bodybuilding success was down to him and not the steroids. There was always going to be some sort of secrecy surrounding the sport of bodybuilding in terms of steroid usage so at the time it may have been difficult for Arnold to talk about the subject because of the fact that he likely had other things on his mind such as focusing on winning his Olympia titles whilst also trying to publicise bodybuilding in a positive light. 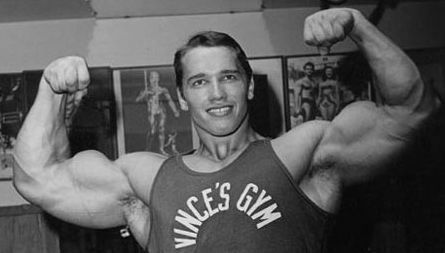 By mentioning the use of steroids during this time, it may have had a negative impact on Arnold’s goals of trying to get bodybuilding more known amongst the public as steroids have had a bad rap for the most part in things other than bodybuilding. Many people are now asking themselves questions concerning Arnold’s use of steroids. Did he really use them in moderation? What steroids did he take? Etc. It has been said over and over from people that say that he did in fact use steroids that he did not ever abuse them, there may have been a number of reasons for this, including the fact that at the time, using anabolic steroids for performance enhancing reasons concerning muscle growth and strength gains as well as being able to lose body fat more effectively was something that was fairly new back then. Arnold and the people who he was competing against may not have wanted to push it too much when it came to using steroids as they may not have been fully aware of what the outcome could be. There have been discussions where Arnold has said that he has used steroids, in these conversations he has mentioned that he used three main anabolic steroids, Dianabol, Deca Durabolin and Primobolan. It is still a mystery as to whether or not Arnold was using them year round or just when it came to preparing for contests but the majority of people believe that he was using it year round so that he was able to compete with the others who were going to be on that Olympia stage with him. There was some mention of steroids in the famous film “Pumping Iron” but nothing that was really substantial but it seems as though the combination of deca durabolin, primoblan and dianobol was his secret mix that helped him to achieve the kinds of results that he saw with his physique. Having said all of that, it goes without saying that Arnold is a legend amongst the bodybuilding community because of the fact that he competed against some of greats like Frank Zane for example and managed to beat them eight times in a row. He also did an incredible amount for the sport of bodybuilding and is still a great ambassador of the sport by doing things such as the “Arnold Classic” which is now one of the biggest bodybuilding contests around today apart from the Olympia, so whether or not he used steroids during his competition days may not seem like too big of an issue for a lot of people because of the fact that he was competing against people who were also using those steroids. I think that for the majority of people, they are simply curious as to whether or not Arnold used steroids or not, he has now publicly came out about it but the details of his use are still to come out properly. 2. “Arnold: An Unauthorised Biography” Wendy Leigh, Congdon & Weed, 1990 “Arnold: An Unauthorised Biography” written by Wendy Leigh. 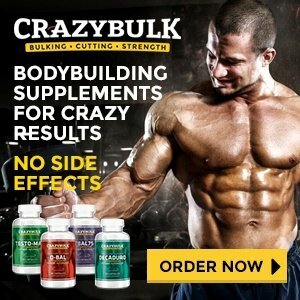 Disclaimer: MuscleAndCuts.com does NOT support the usage of steroids. This article is solely for informational purposes and is NOT written by a medical professional.